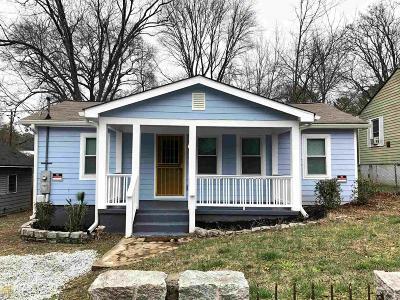 You&apos;ll love this bright cottage in Starlight Heights near Blackhawk Film studio & EAV. Perfect for today&apos;s buyer to move in & enjoy. Cute rocking chair front porch is perfect for relaxing & large back deck for entertaining. Spacious living room, separate dining room & 2 bedrooms have designer paint colors & stylish light heart pine flooring. Large kitchen w/tile floor, granite countertops, focal tile wall & stainless steel vent hood. Bath has stylish pedestal sink, tile floor & open shelving. Fenced backyard is perfect for pets or gardening. Detached work shed great for storage. Directions: From I-20 Exit Moreland. Go South On Moreland. Turn Left Onto Key Rd. Home Will Be On The Left.